The British Antarctic Expedition of 1910–13, led by Captain R. F. Scott, was a source of fascination to New Zealanders, especially as Scott and his men had stopped in Canterbury on their way south. Their use of skis may have helped popularise the sport in New Zealand. 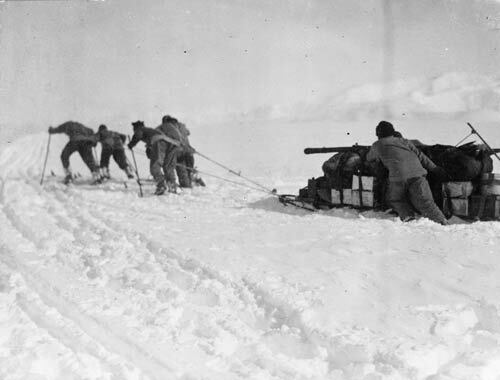 This photo of men on skis, hauling a sled laden with supplies, was taken by Scott in December 1911.